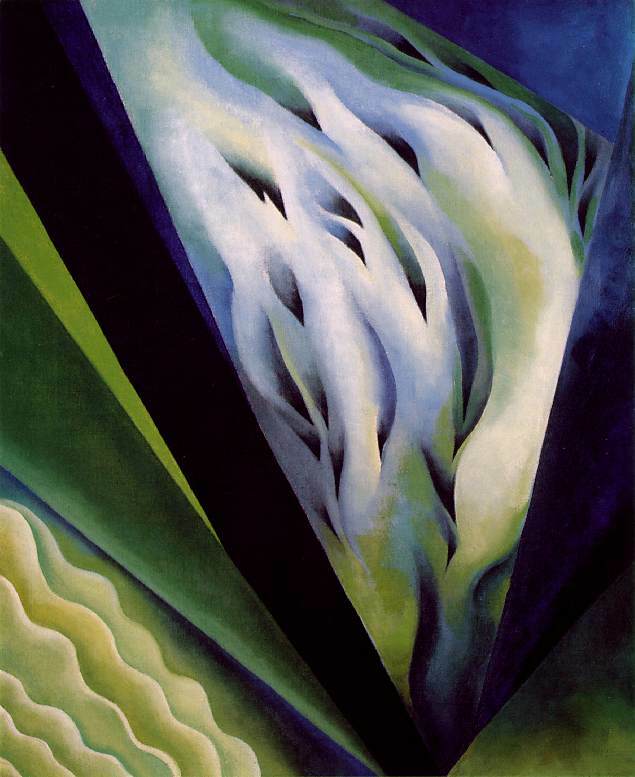 This painting was made by Georgia O'Keeffe in 1921 and is made up of oil on canvas. O'Keeffe was said to paint images of female genitalia through flower images although she denied that that was true. This painting is very interesting because it still keeps with O'Keeffe's flower theme she normally paints . It looks like flower petals yet it has straight lines and awkward angles in it. I think the colors used are very soft and go with the flower-look. I think the angles and awkward lines change the way the painting is interpreted making it very interesting.